The pace of change is out of control in the workplace. Have any of you learned more than three new software programs this week? Have you had to deliver on a deadline in spite of being completely new to a project? Have you struggled to get the attention of colleagues when you need their input, only to find that they are too busy to make the time to meet? Leaders, if you are struggling to deal with the pace of change, how do you think your employees feel? One of the most critical things you can do is be accessible when they need you. If they get stuck, they need to be able to ask questions. And get stuck they will. It’s inevitable. Your work is dependent on others, and your employees are even farther from the answers than you are. They need to be able to count on your availability and support. As fast as we are all moving, we need to realize that we are part of a connected chain of information, processes and people. Knowing that a manager is available to help can make a critical difference to employees – not just in performance, but also in engagement and morale. Employees count on you to be approachable. Don’t be like the prickly cactus, daring others to approach at their own risk. This is a question that has come up before, so I will answer it in today’s post. I wanted to help leaders get past thinking that profit and proactive ethics are mutually exclusive. I wanted to help leaders move beyond the Triple Bottom Line (Profit-People-Planet) which many people have mistakenly interpreted as the full scope of ethical business responsibility. I wanted to help leaders realize that Integrity, Profitability, Sustainability and Community Service can be accomplished simultaneously. I wanted leaders to see all the dimensions of ethical responsibility that they would be missing if they stopped after considering profit alone. The question about profit’s place in ethical leadership is a good one. At its best, ethics requires setting aside concerns about money and personal gain and doing what is best for others. But business leaders also have to keep their organizations afloat, and that requires thinking about money. Have you read 7 Lenses yet? What are your thoughts about its holistic approach to balancing ethics and profit? Why is this question important? I believe that we gain understanding of sub-parts and elements of a problem by doing formal scientific research. Limiting ourselves to formal research within one field, though, may not provide insights into solutions that work well with interconnected systems and globally compounded problems. When I was researching my book 7 Lenses, I didn’t find a clear definition of ethical leadership by looking within the discipline of ethical leadership. Only by looking across multiple disciplines and noticing patterns and trends was I able to find clarity. The word “research” originated in the late 1500’s and originally meant “to seek” or “to search” in Middle French (dictionary.com). I believe that we gain an understanding of the whole picture by taking in a broad array of information in the course of our lives. Without that kind of awareness, we are destined to understand the small pieces but miss the connections and the greater meaning. Think about how you would define “research.” Is your definition narrow, broad or both? How can we prepare leaders to succeed in a socially and globally connected world? What are the strategies that will help them handle a wide variety of unpredictable situations while making ethical choices? There are specific strategies that will help your leadership team prepare for the future. Organizations employing these strategies will help leaders S-T-R-E-T-C-H to stay on top of changing expectations. To prepare leaders to make confident values-based choices, leadership development needs to be clear and based on positive ethical values. To make it worth the time spent participating, every aspect must be relevant to meeting their current challenges. Leaders need support as they learn to embrace complexity (and seek meaning in an age of information overload).We will need to use a growth mindset, letting leaders know that we understand that learning to lead responsibly is a lifelong journey. We will need to honor learning trends and acknowledge that in many cases, leaders can be the architects of their own learning. Welcoming open dialogue about any aspect of leadership will help leaders feel comfortable asking questions. If we are going to make responsible leadership a way of life in our organization, we will also need to help them steep their leadership in mutual trust – which includes trusting others and being a trustworthy leader. If we prepare leaders to handle today’s problems, that doesn’t mean they will be ready to handle the problems of tomorrow. The solution? Aim well ahead of the curve of change, to where the field of leadership is headed. Leaders need a strong infrastructure grounded in ethical values and lots of opportunities for learning and conversation. With the pace of change accelerating, how does leadership development need to change? We must prepare leaders for where they’re going to be (not just where they are now) and help them stay competent in a rapidly changing world. 16 Trends Shaping the Future of Ethical Leadership. 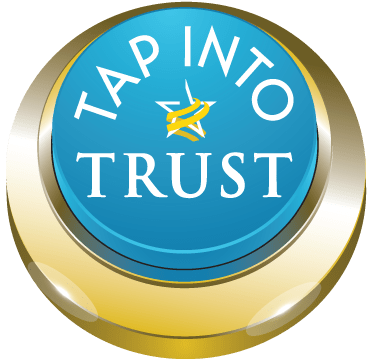 I sometimes hear leaders say that they think “trust is earned” and that we should not trust others until they have earned our trust through their behavior and choices. I see several big problems with this way of thinking about trust. 2. This perspective imagines trust as a commodity, something that can be exchanged transactionally at will. 3. The leader is not expecting trustworthy behavior, and withholds trust accordingly. This negative expectation may become a self-fulfilling prophecy. There is a better way of thinking about trust that leads to more positive leadership outcomes. Trust is reciprocal, requiring relationship. It is something that must be built over time for mutual benefit, not just the leader’s benefit. In a trust relationship, all parties are responsible for being trustworthy (personally) and trusting others (interpersonally). If we remove the interpersonal aspects of trust, what we are really saying is “I have all the power here. I’ll decide when you’ve been trustworthy.” That detached perspective is controlling and judgmental, and controlling and judgmental leadership is not effective leadership. Why is controlling and judgmental leadership not effective? Because leadership (like trust) is all about building positive relationships.